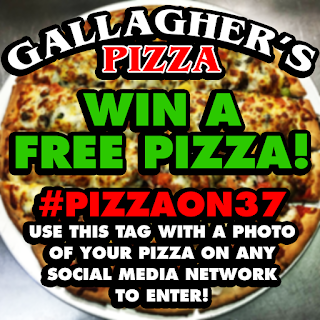 Want to win a free pizza? 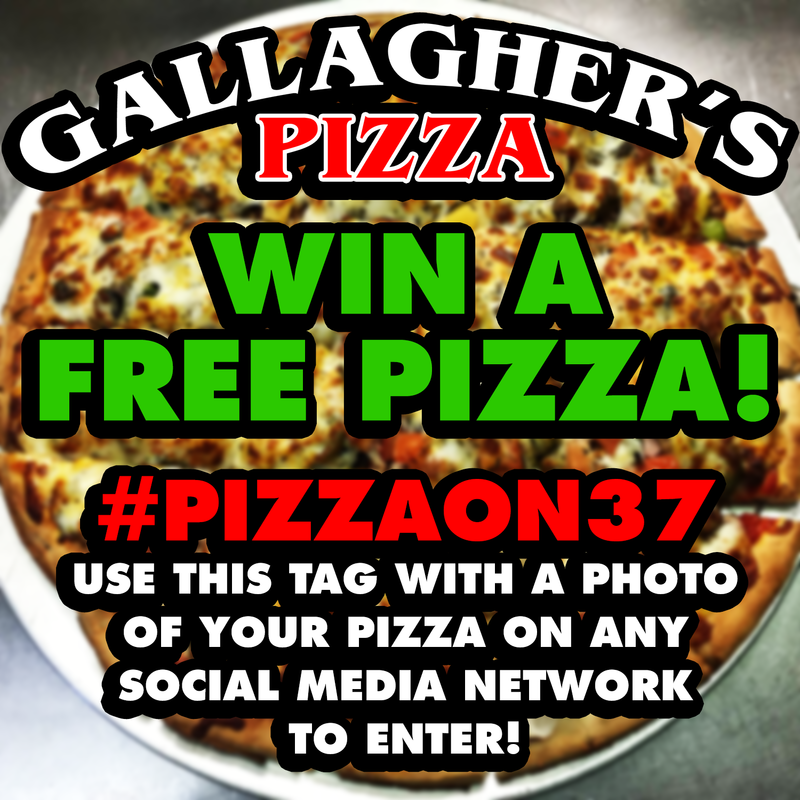 Just tag a photo of your pizza on any social media network with the hashtag #PIZZAON37 to enter! Winners will be contacted on that social media account.